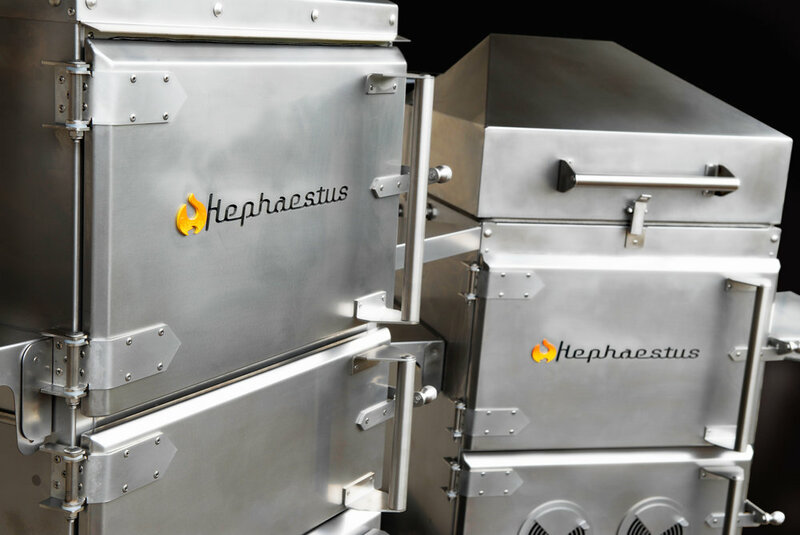 HEPHAESTUS BARBEQUES REPRESENT THE ULTIMATE IN OUTDOOR COOKING. Click the photo above to learn about the Patio-Pro! insulated smokers allow for precise cooking for each of the unique functions. of the craftsmanship and quality of our Patent Pending Smokers! Click the photo above to shop! for your Hephaestus Patio-Pro, Grill-Pro Elite and other outdoor products. charcoal boxes, drip trays and extra and alternative grill grates!